Most of us know our area quite well in the daytime. But when was the last time you walked around your neighborhood in the pitch dark? Everything looks different when you are using your night vision. It is easy to fall or trip over something. I know my yard well, but I have been spending some time outside at night and it is amazing how much it changes. That rake you left laying in the yard becomes a hazard. Shadows and noises are different. Sound seems to carry further. As you spent time outside you will become accustomed to the night sounds and movements. If something is abnormal, you will notice the difference. The sudden lack of night sounds should be a warning that something has changed. It can be another person or merely another animal. Good night vision equipment is more expensive than many of us can afford. In addition, unless it is protected in a Faraday cage it may be useless in case of EMP. In some states, it is illegal if attached to a weapon. 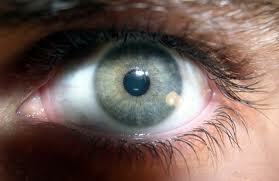 The best night vision for many of us is what we are born with. Sit in one place for a while at night and just look and listen, it is amazing what you will see and hear. When you walk lift your feet so that they clear grass and brush, take your time, come down on your toes. This will help keep you from tripping and you will make less noise. You are all familiar with walking around inside you house at night. Try to become as familiar with your yard and neighborhood. Operational Secrecy is an Important Subject for Preppers. This entry was posted in security and tagged night vision, sounds. Bookmark the permalink.